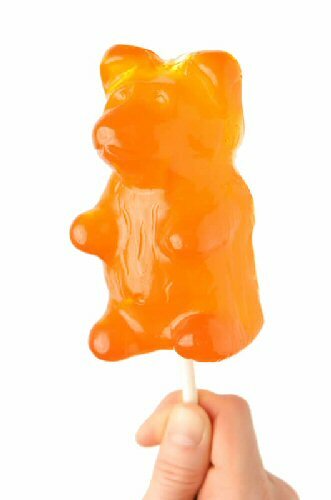 These gummi bears are 88 times larger than an original gummy bear, on a stick and made right here in the U.S. 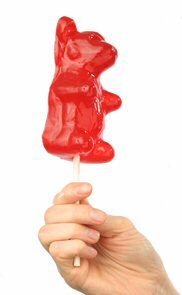 They come in 11 different great tasting flavors, and are mounted on an extra-strong stick for longer lasting enjoyment. 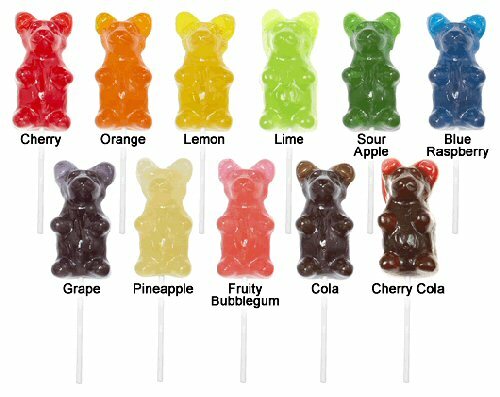 The flavors included are cherry (red), orange, lemon (yellow), lime (light green), sour apple (dark green), blue raspberry (blue), grape (purple), pineapple (white), fruity bubblegum (pink), cola (brown) and cherry cola(red/brown). 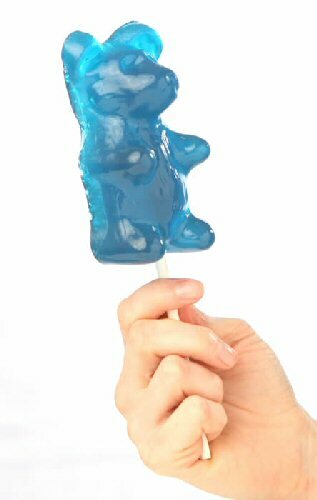 These Giant Gummy Bears are gluten free and have a 1 year shelf life. 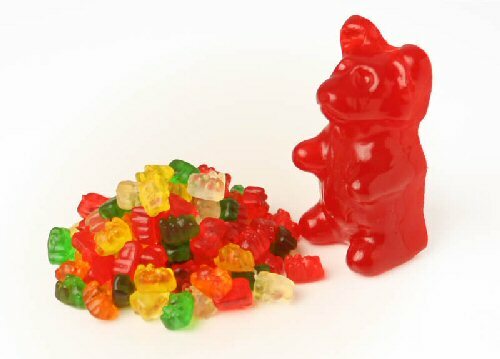 Be sure to see our full line of Packaged Candy if you're looking for more great treats.